This week our T20 teams kicked off their short campaigns with three of the four sides starting off with a win. The Masters are looking to improve on their back to back Semi Final losses of the past two seasons, and did their chances no harm with a close win over Wests last Wednesday. Skipper Bill was the hero at the end, guiding the side past Wests total of 7/121. Troy Harvey was at his usual bludgeoning best with a quickfire 49. 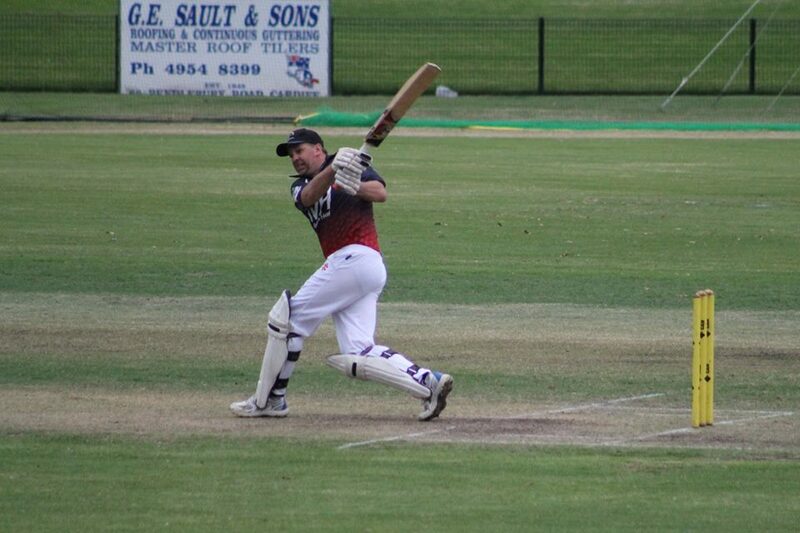 Earlier, Matthew Penglaze (1/8 off 4 overs) and Robert Redpath (1/14 off 4 overs) did the damage to restrict Wests. Yesterday our three Sunday T20s sides took on Cardiff at Cardiff no.1. The Under 15s unfortunately didn’t get a game with Cardiff having to forfeit due to low numbers. Thankyou to Aaron Lynch for putting together a side with so many of our U15s unavailable due to Rep commitments. Our DB Cup boys were next cab off the rank, batting first to great effect to compile a big score of 187 after their 20 overs. Liam Wilson (71 off 45 balls) continued his sparkling form, and Vikram Singh (48 off 21 balls) was ruthless at the end of the innings with 4 sixes to push the total up. In reply, Cardiff were never in it, batting their overs out to reach 7/110. Jack Dundas (2/11) and Rahul Thakur (2/19) were the pick of the bowlers. The under 21 boys bowled first, and did a great job to bowl Cardiff out for 91. Wickets were shared around with Beno Rutherford (3 wickets), Josh Deakin (2), James Carathanassis (2) and skipper Ben Sullivan (2) all bowling to great effect. The batting unfortunately did not live up to the bowling efforts, as the boys struggled to score runs at the back end of their innings, finishing 5 runs short at the end of 20 overs. Hamish MacQueen batted through to give the boys a chance.